Here is where you will find what the best snowmobile GPS is, in case you’re pressed for time, and you cannot read the entire comprehensive guide our team put together. 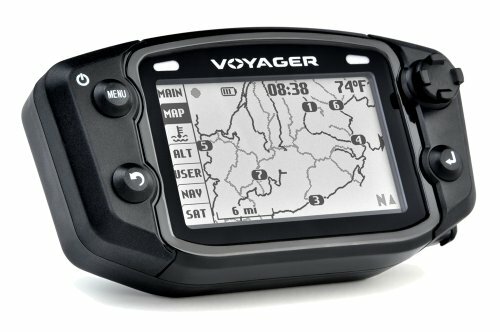 After carefully examining all the popular products on the market, along with the reviews left by users and experts, we discovered that the Trail Tech 912-2035 Voyager is the model that you should bet your money on. This model is ideal to be mounted on an off-road vehicle, be it an ATV, a motorcycle or a snowmobile. One of the greatest things about this unit is that it comes with a track manager LCD that lets you organize the trail systems your way. On the backlit display, you will be able to read vital information such as speed, distance, engine temperature and so on. 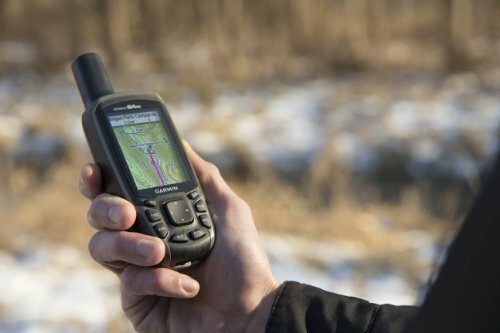 Should this model be no longer available, the second model you should pick is the Garmin GPSMAP 64st, as it offers almost the same advantages. This item is easy to mount and perfect for ATVs, snowmobiles or motorcycles. The large 240x400-pixel screen can display all the information you need. The backlit display allows increased visibility even when it’s dark or clouded outside. Apart from the regular routes, this GPS unit is also equipped with trail maps that are essential for all ATV enthusiasts. It comes with a convenient MicroSD card you can use to store offline maps. Mounting the hardware is difficult for inexperienced drivers. We suggest asking the help of a professional. This waterproof GPS unit is a great choice for those who want to enjoy the freedom of riding a snowmobile while also staying on the known routes when riding. This GPS unit works both with a rechargeable NiMH battery or with regular AA batteries, meaning you will stay connected at all times. A single charge provides more than 16 hours of continuous use. It also measures the speed and temperature outside and can be connected to a heart rate monitor to keep track of your health. You can easily read the display in the sun or when wearing your snowmobile goggles. The screen only measures 2.6 inches and the 160x240-pixel resolution is poor for the current quality standards. This decent GPS unit does its job and will help you reach your destination safely. The internal 8GB memory allows you to store multiple offline maps. 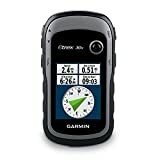 The upgraded version of the Garmin GPS comes with a variety of new functions that prove their utility. It features a color display with an improved resolution of 240x320 pixels, enough for you to clearly see the map and instructions. The screen is visible in all weather and light conditions, including in broad daylight. It comes equipped with a 3.7GB internal memory that can be expanded via a regular MicroSD card. Some customers complained about this GPS unit running slower than others. The instructions manual is not clear. 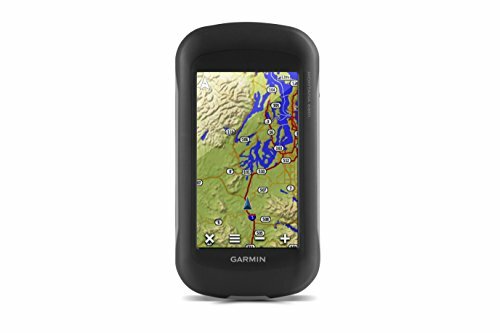 Useful and affordable, this improved version of the Garmin GPS will keep you out of trouble when you’re riding your ATV or snowmobile. Anyone searching for a good snowmobile GPS will find the next shortlist we created helpful for narrowing down his or her choices. We want to make sure that you get a model that will satisfy your needs, which is why we present you these products with all their features and benefits. One model that is often praised by the snowmobile GPS reviews you can read online from users and experts alike is the Trail Tech 912-2035 Voyager. An excellent fit for all makes of Polaris Scrambler with 4 wheel drive, it is also a good pick for your motorcycle, your ATV, your snowmobile, or any 4-wheel driver. The 240×400 screen will tell you a lot of information about your position and not only. Since the display is backlit, you will be able to see it and read it even in low light conditions, which is great when you are on the road or attacking slopes with your snowmobile. You will get to read information such as speed, distance, altitude, the temperature outside, and the temperature inside your engine. Following maps is easy, and you can use the track manager LCD that provides you with the means of customizing your trails. If you’re riding an ATV snow plow, this inclusion of trail maps can prove providential. The good thing is that this model comes with a MicroSD card that can be used for storing maps downloaded from the Internet. The card is waterproof so that you don’t have to worry that it might get damaged by snow. Designed for off-road use, this GPS is ideal to be mounted on a wide variety of vehicles, including, but not limited to, motorcycles, ATVs, or snowmobiles. The LCD display stands out on its own, due to the excellent picture quality provided; offering superior contrast and resolution, it will let you get the information you need in vivid colors so that you don’t have to struggle to read it. Consulting the information on your display after dark is possible, because the screen is backlit, thus offering you the possibility to use it even in less than ideal lighting conditions. You will be pleased with the way the trail systems are managed, as you are offered a track manager, as well as an extra MicroSD for storing additional maps, as the need arises. One user says that the mounting hardware could be better, but other than that, no outstanding issues can be mentioned. Versatility is the first benefit that comes to mind when listing everything the Garmin GPSMAP 64st can offer to a user. It works with both AA batteries, and a NiMH battery that can be recharged. You will not have to worry that your GPS might leave you hanging if you have this one by your side. A single charge lasts for 16 hours, so make sure that you plan accordingly. The GPS unit will register important information, such as speed and temperature, and one exciting thing about it is that it can be paired with ANT+ sensors, including a heart rate monitor. Now let’s talk a little about its display, as this is where most pleasant surprises come from. The 2.6-inch display can be used in the sun, as you will not experience the usual glare and other unpleasant things. That means that even if you wear motorcycle goggles, you might be able to read it with ease, as nothing will hinder your vision from its side. The resolution is 160×240 pixels, so pretty decent. The unit also comes with an internal memory of 8GB. 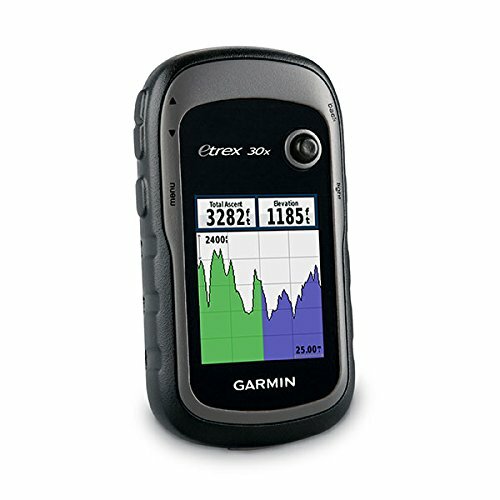 You can upload all your data to Garmin Connect, and then follow it on your smartphone. The Live Track feature allows you to share your adventures. You can read the information displayed on the screen, even in bright light conditions, as the screen is designed to avoid glare and other issues caused by improper lighting. The unit works with two types of batteries: traditional AAs, and the rechargeable NiMH it comes with. A single charge of the latter will have the unit working for 16 hours continuously. If you so choose, you can hook up the unit with ANT+ sensors, and receive notifications on your smartphone. 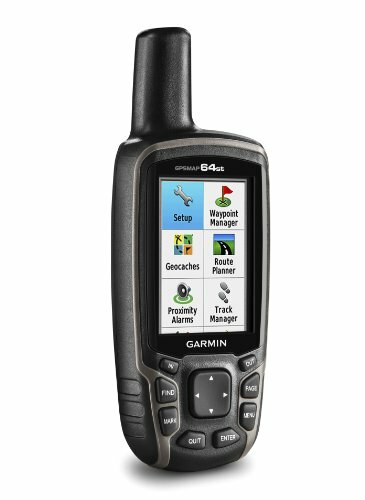 Its wireless functionality lets you upload your info to Garmin Connect and see it from your smartphone. You will be able to tell the altitude, as well, since the unit comes equipped with a 3-axis compass and a barometric altimeter. Some users mention that the menu is not particularly intuitive, and also that the instructions available aren’t something to write home about. With the Garmin eTrex 30x, you will benefit from a wide range of upgrades from previous versions created by the same company. It must also be mentioned that this model is a cheap snowmobile GPS, and offers the right option for those who are shopping on a budget. The 65K color display offers outstanding performance, and this is probably the first thing that must be mentioned. Its superior resolution, of 240×320 pixels, is a step forward, and you will be able to read the data displayed on the screen in vivid colors and excellent contrast. You will not encounter any troubles with reading the display in sunlight, as the screen will not give off glare. Even when wearing scooter helmets, users will not have any issues with readability, which is essential for anyone who is into off-road adventures. Several essential upgrades for the map system are available, too. The unit comes with 3.7GB of internal memory, that can be expanded with the help of a MicroSD card, for which an additional slot is present. You can load many different maps such as TOPO 24K, City Navigator NT, BlueChart g2, and HuntView. For BirdsEye Satellite Imagery, you will have to pay a subscription. Look for the best snowmobile trail maps for Garmin GPS, for example, before heading out on your adventure. Featuring an excellent display with superior resolution, this unit will allow you to read all the essential information without any glitches, even in bright sunlight. You can load plenty of maps, as the unit comes with 3.7GB of internal memory, that can be supplemented by a MicroSD card if needed. Lots of maps can be uploaded to the device, including TOPO 24K, City Navigator NT, BlueChart g2, HuntView, and BirdsEye Satellite Imagery – the latter only with a subscription. A base map with shaded relief is included from the start, to give you an idea about the terrain surrounding you. Users will find it handy that the unit can connect wirelessly with other sensors and other Garmin devices. Among the complaints mentioned by users, the fact that the instructions manual could be better appears more often than others. Others are dissatisfied with the overall performance, as they say that the unit runs slowly compared to what they expected. This unit is ideal for geocaching and not only. Many of the snowmobile GPS reviews written by users mention it for other activities, so you can count on it to be versatile and convenient. It must be said that the model comes with 250,000 preloaded geocaches, to give you an excellent starting point. Performance is what makes this model stand out, as well as accuracy. Along with GLONASS support, and Hotfix satellite prediction, this GPS unit is capable of pointing your location with maximum accuracy, and will even be able to tell it when you’re exploring canyons. The digital camera will capture excellent pictures of your surroundings, and give you an excellent motivation to travel. The preloaded TOPO snowmobile GPS maps are another great plus. Anything you need as an explorer, no matter what vehicle you use, is readily provided, and it is safe to say that this is a convenient to use snowmobile GPS for sale. You will get some nice extras if you decide to purchase this particular model. For instance, you will get one year of subscription to BirdsEye Satellite Imagery, free of charge. It will geotag your pics automatically, and the 3-axis compass with barometric altimeter will tell you other details about your position. This unit works with both GPS and GLONASS to give you an accurate position, and its overall performance is superior. It comes preloaded with 250,000 geocache locations, for an excellent starting point, in case you are into geocaching. You will be able to create track logs, as the unit works like a charm with waypoints and routes so that you always know where you’ve been and where you’re headed. The GPS has an 8-pixel camera that will take gorgeous pictures of your surroundings, making your trip even more worthwhile. Besides the geocache locations, the model comes with TOPO US 100k maps, which are already preloaded so that you can use them right away. You will find users who say that the menu is not intuitive enough, which might mean that a slight learning curve is needed. Another common complaint is that the City Navigator maps must be purchased separately. Snowmobiling is an exciting winter sport, and there is nothing more exhilarating than being able to go down a slope in your snow-able vehicle. However, if you want to stay safe when you go snowmobiling, it is not enough to put on some motorcycle gloves and dress adequately. You also need to have a GPS unit with you. We will tell you right away what features you should look for. The main issue with finding the best GPS for snowmobiling is, simply put, the fact that it hasn’t yet been built or even just designed. There are no GPS units dedicated particularly to this kind of activity, which is why if you try to be specific in your searches, that strategy might not return the results you expect. Now let’s talk a little about what such a GPS unit should have. So the first thing you should look for is a GPS unit that can withstand harsh weather. We are talking here about snow and wet environments, so any mentions of a waterproof feature should draw your attention. 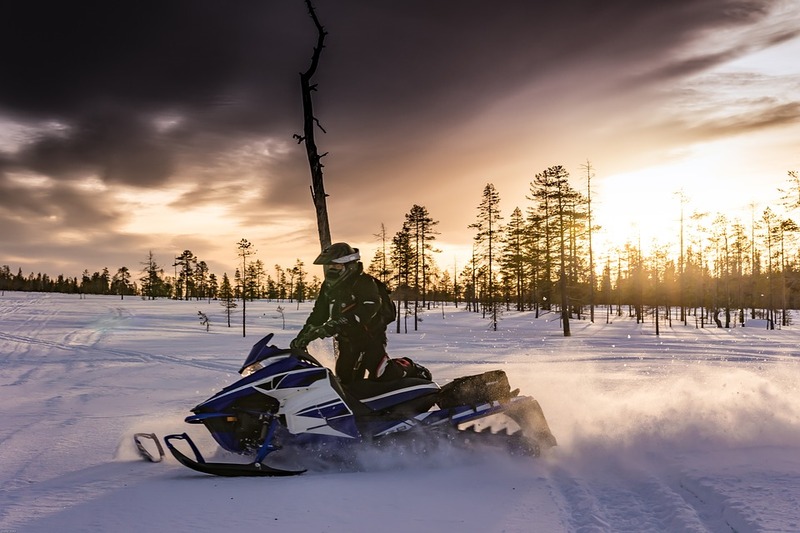 You can always protect the engine on your snowmobile by using high-quality synthetic motor oil, but there’s not much you can do about your GPS unit if it was not already built to withstand adverse weather. You will want your GPS unit to work in low-temperature conditions, even freezing. The fortunate thing is that there are manufacturers who offer their customers excellent units that will do well when used in the cold, so you can always start with what they offer. When you use a GPS unit for your snowmobile, you don’t need many bells and whistles. However, you do need a good quality screen for various reasons. One of them is that the sun may be up in the sky when you’re snowmobiling, as sunny days are the best for such activities. In this situation, you don’t need ATV speakers to listen to music, but you do need a gorgeous display for your GPS. Your screen must be sunlight readable. This is a must, because most of the time, your snowmobiling adventures will take place in this type of weather, as already mentioned. But this is not all. The resolution is another starting point. The higher the resolution, the better, as a crisper image will be delivered. Also, the highest the number of colors used by the screen, the clearer the picture will be. The details on your screen must be accurate and displayed in such a fashion that they are easy to read. The primary role of a GPS unit is to show your location, and that is why accuracy must be included on this list of must-have benefits. You will navigate various types of terrain when you are snowmobiling, which is why it is essential that your GPS can interpret your location with precision, even if you are, let’s say exploring trails that take you through canyons and other terrain that could easily cause a unit to show inaccurate data. What sort of satellites communicate with your unit? If GLONASS support doubles GPS support, that is a plus. A GPS for snowmobile trails must have superior accuracy so that you don’t end up stranded. Also, the maps displayed must be accurate, which takes us to the next point that we want to make clear for people who are shopping for snowmobile GPS systems: preloaded maps. What kinds of maps are preloaded? Just like bikers stuff their motorcycle backpacks with everything they need for their longest trips, you should be ready to stuff your GPS with detailed maps for the area and terrain you are going to explore in your snowmobile. If you read carefully, you will notice that most GPS units come with internal memory for storing maps, and some even have an additional MicroSD card slot so that you can expand that memory, if need be. Make sure that you have the proper snowmobile GPS mount hardware for your unit at hand, and then check what maps are preloaded. Topographic maps are convenient for someone who is into snowmobiling because they show you terrain details to be aware of. Geocache locations are nice to have, too, but don’t forget that you can expand the library of maps available, with the help of the internal memory available. The BirdsEye Satellite Imagery, for instance, is an excellent map service, but you will most likely have to pay for a subscription. Your ideal GPS unit should be one that comes with as many included maps as possible from various services.